A dental crown (cap) is a restoration that is placed on teeth that have lost a lot of their structure. 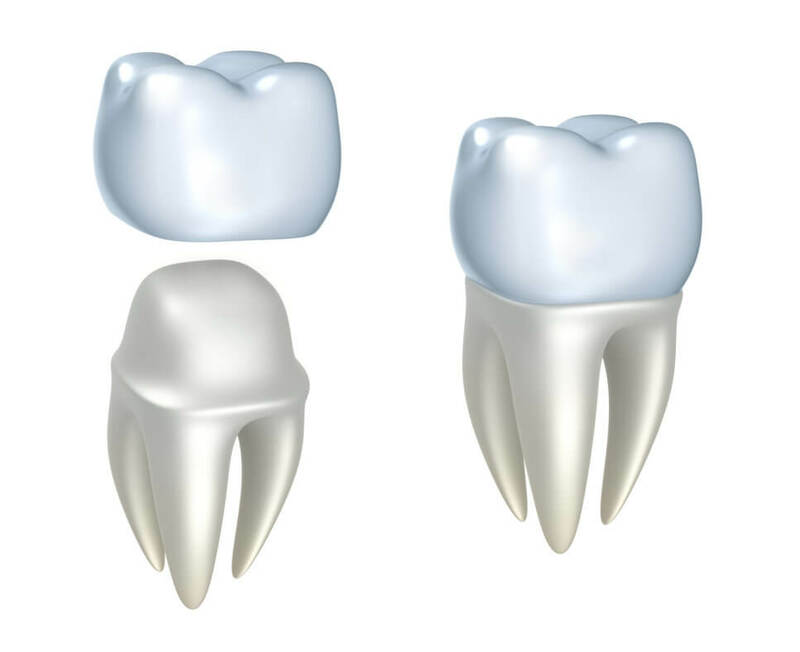 There are various types of crowns, ranging from full porcelain to full metal crowns. Dr. Woolridge-ofori will explain the advantages and disadvantages of each kind for you. Dental crowns may also be used to securely attach a bridge if the structure of the surrounding teeth is inadequate. A bridge is a dental appliance that is used to replace one or more missing teeth. They are designed to be cosmetically appealing and to restore proper occlusion. Like crowns, bridges are fully customizable and made of various materials, including porcelain and metals. Although not as permanent as a cap, bridges are bonded to the surrounding teeth and only removable by your dentist.